I am a Christian because of the person of Jesus of Nazareth, a nonviolent revolutionary who challenged the Roman occupation of Judea and surrounding regions. He was also the incarnated form of the Second Person of the Trinity, however the Trinity works. I grew up a Christian because of the choices my parents made, but I remain one because of Jesus–the real one, not the domesticated one I learned about in Sunday School. But why am I an Episcopalian? There are many other denominations, each of which has its place in the larger Christian Church. But I have made my choice and stood by it for four reasons. 1. The Episcopal Church fits my personality type. I like order, so the ritualism appeals to me. It creates an environment in which I feel closer to God. Those who equate ritual with “going through the motions” are wrong. I have not been able to persuade them of this. I failed in my attempts to do so during conversations with members of the Baptist Student Union at Abraham Baldwin Agricultural College (ABAC), Tifton, Georgia, in the 1990s, for example. But even they had their rituals–just less involved ones and perhaps fewer of them. As Father Peter Ingeman, retired Rector of Christ Episcopal Church, Valdosta, Georgia, has said, a liturgical congregation is one with an agreed-upon, predictable form of worship. So even those ABAC Baptists were liturgical, no matter how much that thought would have caused them to recoil! 2. The Episcopal Church respects Scripture without being literal. One of the major flaws of Fundamentalism is being too literal, thereby overlooking interior contradictions of the Bible. And one of the gaping holes in Atheism is blowing those interior contradictions out of proportion. Another is imagining other such contradictions due to a failure to read texts in context(s). A healthy respect for Scripture entails approaching the texts honestly, taking them as they are. And Scripture, in the Three-Legged Stool, is the most important element, the others being tradition and reason. The Three-Legged Stool provides a balanced approach to doing theology, for one reads one leg through the other two. Thus one can acknowledge contradictions in Scripture while recognizing its consistent elements plus later developments, such as scientific discoveries, comfortably. 3. The Episcopal Church respects tradition without becoming a theological and liturgical museum. Church calendars change. We used to observe Sundays after Trinity. Now we keep Sundays after Pentecost. We changed a few years after Rome did. This was a reversal of the usual pattern, for we tend to change before the Catholic Church does. So we have been ordaining women for decades, empowering females to contribute more to church life, much to the benefit of the National Church. Yet we have maintained many wonderful traditions, such as The Book of Common Prayer, revised most recently in the 1970s. Traditions should live, not become relics or idols or museum exhibits. He died to take away your sins, not your mind. Thus one should be open to philosophical, theological, and scientific developments. One should not cling to some theological set of stances from some previous period in church history, refusing to move regardless of evidence. Doing such has led to the denial of basic truths, such as the fact that the Earth revolves around the Sun. That denial, although reversed a long time ago, continues to embarrass the Church (especially Holy Mother Church) and to provide ammunition for scoffers. 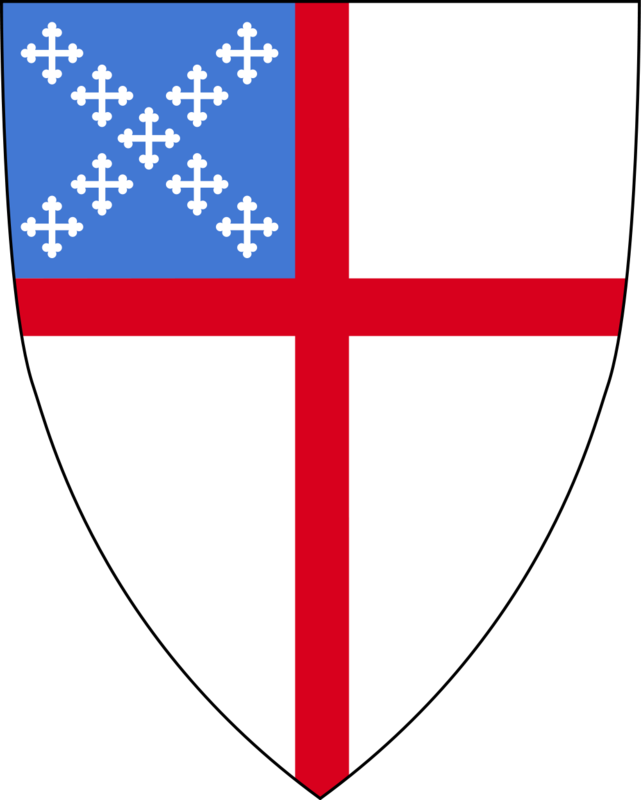 The Episcopal Church has been my spiritual home since December 22, 1991. I have, since August 2005, been part of a wonderful congregation, St. Gregory the Great, Athens, Georgia, which is as close to a perfect match for me as I have found. No longer do I occupy the uneasy position of resident heretic. Now many people are to my left. (Others, I assure you, O reader, are to my right.) I enjoy the company of those to my left, for nobody from that position has accused me of being a heretic. And, at St. G’s, nobody to my right has done that either.